The Fortis Cosmonauts Stratoliner Steel Parabola Limited Edition was created to celebrate those brave enough to conduct parabolic, or weightless, flights in the name of science and technology. 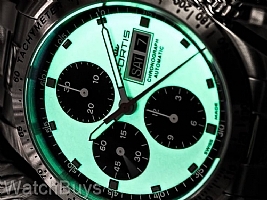 Limited to just 200 pieces worldwide, this watch sports a unique design within the Fortis Collection. The Stratoliner Steel Parabola Limited Edition features a 42 mm case with complete chronograph functions. The majority of the dial is fully-lumed in white, with the sub-dials and outer edge of the dial a matte black. Accentuating the dial are applied numerals and indices, which are olive in color and are coated with SuperLuminova. 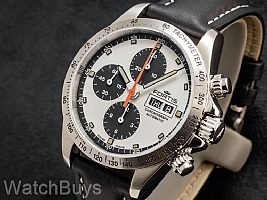 Screwed pushers drive the chronograph, which features a central chronograph hand and subdials at 12 and 6. This watch is fitted with a Fortis black leather strap with white stitching and tang buckle. 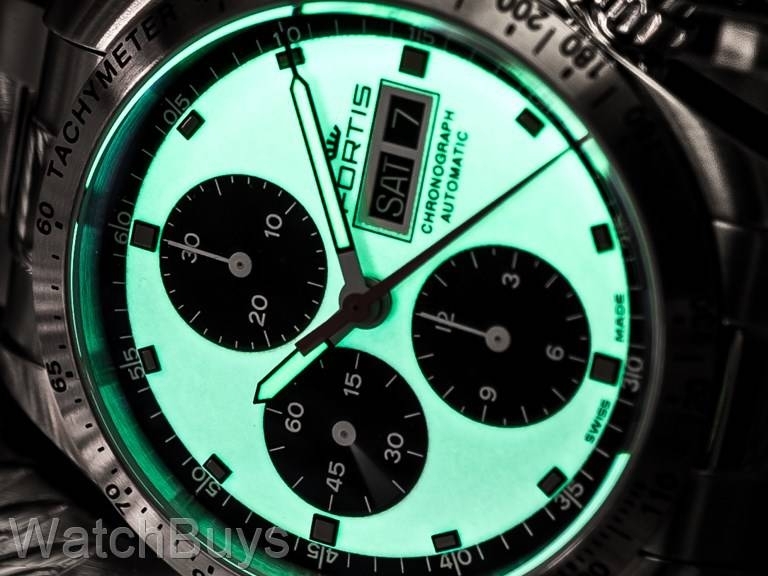 "Amazing Timepiece - My Third FORTIS"